(Shalom). They gain skills necessary to become leaders, continue to rebuild this promising country, and make the world a better place. Visit www.asyv.org for more information. The Village Fellows program of the Agahozo-Shalom Youth Village places 8-10 international volunteers (“Fellows”) at our site in Rwanda. Fellows spend 12 months living and working in the Village; they are placed into professional roles and work together with Rwandan staff to support existing programs and help develop new systems and programs. They become an integral part of the staff team that enables the Village to fulfill its goal of providing a nurturing home and exemplary formal and informal education to our kids. In addition to their professional role, each Fellow joins a family and serves as a mentor to 16-24 teenage students who are in their first year of living in the Village. Fellows (in this role called Cousins) work hand-in-hand with Family Mothers and Counselors to create a loving and supportive family and home environment for our teens. Additionally, Fellows lead and support many of the Enrichment Programs and Special Events offered in the Village after school and during the evenings. Specific Position Description: English ESL Trainer – The English ESL Trainer will support the Village’s English Language Learners (ELL), providing English Language Enrichment at the Liquidnet Family High School and support for teachers on skills to expand English Language Literacy in speaking, listening, reading, and writing. Duties will include teaching daily English lessons for “Enrichment Year” students, designing assessments to track student progress, and collaborating with LFHS staff to design comprehensive English instruction. Fellow will manage the two Village libraries and work to create an overall culture of English enrichment. Fellow will also work with Programs Assistant to serve as the Advisor for the Student Government. Experience teaching or tutoring English language learners is preferred. Candidates with TESOL certification and/or formal teaching experience are highly encouraged to apply. 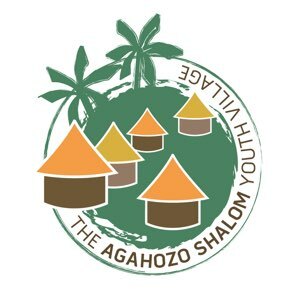 The Agahozo-Shalom Youth Village provides all Village Fellows/Cousins with room and board, a monthly stipend, comprehensive medical and evacuation insurance, Rwandan Visa, and round-trip airfare to Rwanda. 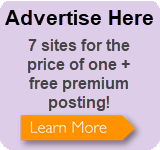 Fellows/Cousins are responsible for all other costs not listed above (ie. passport, immunizations, etc.). To initiate the process, please send a resume and a 1-page cover letter to jill@asyv.org. Eligible candidates will go through an interview process. As a second step in the process, applicants will be invited to complete an application online. Due to a high volume of applicants, only those selected for interviews will be contacted. Applications will be accepted on a rolling basis until positions are filled.